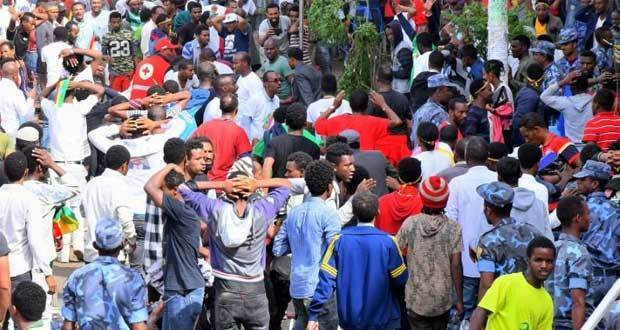 August 10, 2018 – The Ethiopian Federal Attorney General will charge two additional suspects in connection with grenade attack on June 23, 2018 at rally attended by PM Abiy Ahmed in Addis Ababa, according to ENA. The government disclosed the suspects as Beyene Ruda and Abdisa Megerssa, according to the report. The Federal Attorney General has also requested the court for additional 14 days to compile evidences, of which seven days was granted. The court has ordered the investigations to end by August 15, 2018. Earlier Abdisa Kenene, Desalegn Tesfaye, Getu Girma, Bahiru Tola, and Hiwot Geda were charged with taking part in the grenade attack that caused the death of two people and wounded more than 150.